Library staff in any position, who desire to contribute to, and enjoy a respectful, safe workplace environment. 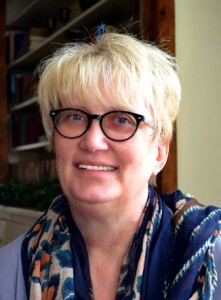 Catherine Hakala-Ausperk is an author, consultant, and instructor with 32 years' experience in public libraries. At the completion of this 4-week online course, learners will be more aware of, and accountable for, what it takes to create a safe, welcoming workplace. By completing the assignments, learners will develop a "Workplace Audit and Action Plan," for their own edification or to share with library leadership to encourage change. By the conclusion of this course, Catherine Hakala-Ausperk will help learners to consider their own contribution towards this goal from four different perspectives: themselves, their team, their facility, and their customers. To complete this course, you can expect to spend 2 ½ hours per week, for a total of ten course hours. Each week's module contains readings and a weekly assignment. Although you can work on each module at your own pace, at any hour of the day or night, it is recommended that you complete each week's work within that week to stay in sync with other learners.